NewJerseyHauntedHouses.com features all of New Jersey's best haunted houses, hay rides, mazes, pumpkin patches, haunted attractions and fall fun that you're looking for the 2019 Halloween Season. Whether you're a thrill seeker looking for the best local haunts across New Jersey, or you're looking for Fall Festivals, and the more family-friendly side of Halloween Fun, NewJerseyHauntedHouses.com has what you're looking for. 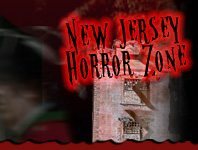 Since 2008, NewJerseyHauntedHouses.com has helped locals across New Jersey make the most out of the Halloween Season with comprehensive listings for all of STATE NJ's best attractions, including dates of operation, in-depth bios, photos, social media feeds, and so much more! Our blog also features a deeper look into this year's Halloween Fun, including the latest Haunt News, Halloween Fun & Games, Seasonal DIY ideas, and the nitty gritty details of New Jersey's REAL Haunted attractions. Have a local haunt and want to get listed? Give us a call at 888-228-5265 and speak to a NewJerseyHauntedHouses.com representative today! 'Night of the Creeps' Coming to Brighton Asylum on April 13th! Celebrate the Luck of the Irish at Brighton Asylum's St. Patrick's Day SLAY Event! 'Santa's Slay' Returns to Brighton Asylum this December! Fun & Festive Ways to Keep the Spooky Halloween Spirit Alive - No Matter the Time of Year! Let Us Know About Your Haunting Experiences this Halloween Season by Reviewing Your Fave Attractions! Oasis Island of Terror is Stirring Up Some Serious Scares this Halloween Season! Find Out All About the Terror that Awaits this Halloween Season at Brookdale Haunted Theater! Scary Rotten Farms is Stirring Up Serious Scares this Halloween Season! Brighton Asylum Presents Dark Valentine, a Terrifying Date Night to Remember! Take on a 'Christmas Nightmare' this Holiday Season at BloodShed Farms Fear Fest! 14th Annual South Jersey Pumpkin Show Gearing Up for Fall Harvest! Terror Awaits Thrill Seekers this Halloween Season at Brighton Asylum! Frightening Fun Awaits at BloodShed Farms Fear Fest this Halloween Season! Check Out the Horror in Store for the 2017 Halloween Season at Bane Haunted Attraction! Tour the Real Camp Crystal Lake in Hardwick this October on Friday the 13th! Tons of Frightening Fun in Store this Halloween Season at Night of Horror at V&V Adventure Farm! Tons of Seasonal Fun in Store for the Entire Family at the 2017 South Jersey Pumpkin Show! Deliver Scares this Halloween Season by Working at a Local New Jersey Haunted Attraction! Ghost Hunts USA to Host Burlington County Prison Ghost Hunt this June! Atlantic City's Tropicana Casino and Resort Hosting a Halfway to Halloween Party! Don't Miss Out on Rottentail Slaughter - The Horror Easter Event at Brighton Asylum! Grand Opening of 'Bane Escape' Takes Place Tomorrow! Take Out the Zombies at 80'sPOCALYPSE at Bane Haunted House! An Easter Twist: Take Photos with a Zombie Easter Bunny at Underground in Smithville! Celebrate Valentine's Day at Brighton Asylum's Special Event - DARK VALENTINE! Clownapocalypse is Coming to Bane Haunted House this January! Enjoy Some After Halloween Scares with THE PURGE at Bane Haunted House! Journey Through The Dark Carnival this Halloween Season - If You Dare! Prepare for the Terror in Store at Scary Rotten Farms this Halloween Season! BloodShed Farms Fear Fest Returns with Gruesomely Good Fun this Halloween Season! Celebrate Friday the 13th at Brighton's Clown Asylum! Bane Haunted House Presents: Apocalypse New Jersey at The Haunted Scarehouse! Bane Haunted House: Battle Zombies & Snipers During the Annihilation Mission on March 26th! Enjoy a Thrilling Date at a 2016 Valentine's Day Haunted House in New Jersey! Get Ready for a Scary Christmas in New Jersey! Hear the True Tales of Spooky Ghost Happenings along Ye Greate Street in Greenwich!